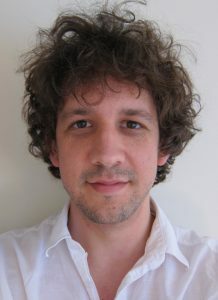 After his undergraduate studies at the University of Heidelberg, Germany (diploma thesis with Prof. Christof Wetterich) and the University of New Mexico, USA, Richard Schmidt received his PhD in 2013 from the Technical University in Munich, Germany, working in the group of Prof. Wilhelm Zwerger on the study of the interplay of few- and many-body physics in ultracold atomic systems. As recipient of the independent ITAMP Postdoctoral Fellowship, yearly awarded to a single theoretical physicist in a worldwide call, he moved to Harvard University and the Harvard-Smithsonian Center for Astrophysics in Cambridge, USA. There, he made various contributions to the research on quantum impurity problems far from equilibrium, ranging from Rydberg excitations in Bose gases to the impurity-induced dephasing dynamics of fermionic systems and developed a new approach for the description of quantum rotors coupled to a many-body environment such as relevant for molecules immersed in superfluid Helium nanodroplets. In September 2017 he moved as Pauli Visiting Fellow to ETH Zürich, Switzerland, where he continued to study the theory of mesoscopic systems at the boundary from few- and many-body physics in the context of two-dimensional van-der Waals materials. In 2017 the Max-Planck Society awarded Richard Schmidt the position of a Research Group Leader at the Max-Planck Institute for Quantum Optics, Garching, Germany. Here, Richard Schmidt is located since January 2018. Here you can find Richard Schmidt's CV including a list of publications and talks.